Wow, wow, wow! 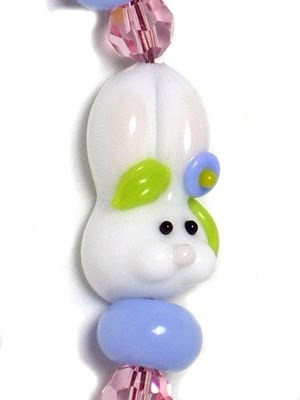 I love these detailed lampwork glass eggs, don't you? Their tiny flowers match nicely with the rosettes on the bunnies...and oh those bunnies! 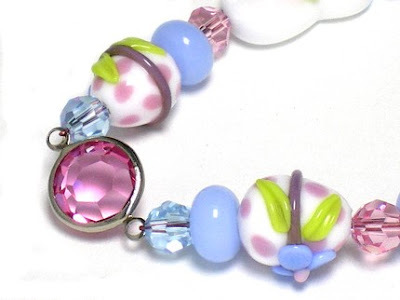 Periwinkle is my favorite color like that in the little round beads. 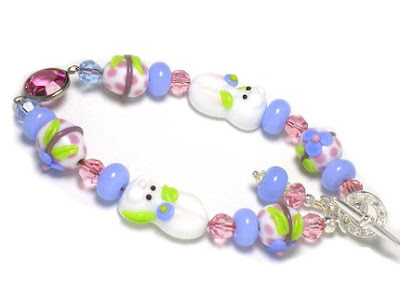 It's a combo of blue & purple, so add in the pink beads and you are talking my language. I discovered these awesome round pink crystals last year and really like the sparkle they add to this one of a kind bracelet. Come see more details in my SHOP.